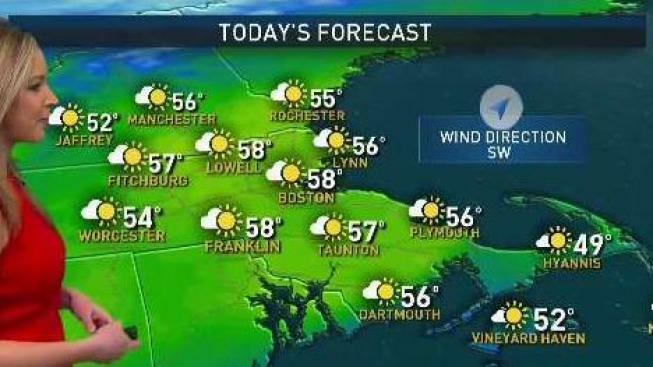 Sunday will warm well into the 50s with a lot of sunshine. Occasional wind gusts could make it feel a bit cooler. Clouds increase Sunday night. Showers are possible Monday. Snow may mix with the showers away from the coast. Once that cold front moves through Monday, quiet weather will return during the day on Tuesday. Temperatures fall back into the 30s and 40s, which is close to average for this time of year. Temperatures begin to moderate by Thursday as temperatures recover into the 50s. Sunday: Sun to start, clouds to end. Warmer. Highs around 60. 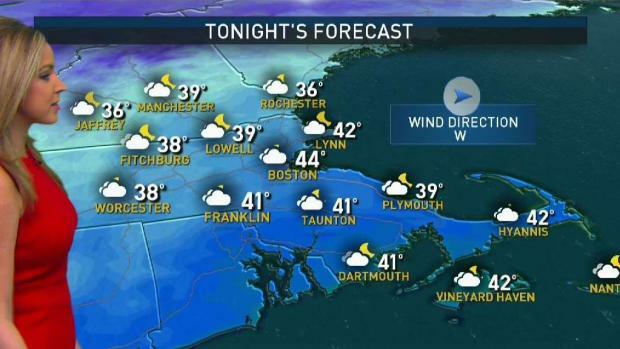 Overnight Sunday Night: Mostly cloudy. Lows in the mid 30s. Monday: Mostly cloudy, early shower or sprinkle. Clearing by afternoon. High in the mid 40s. 60 degree weather is possible for next weekend. It might not be as bright and beautiful as it will be this Sunday, but it certainly will be mild. Clouds will be around with a couple of showers. However, we aren’t expecting any appreciable precipitation between Monday night and next Saturday. In areas that don’t have snow on the ground, there will be a heighten risk for brush fires. Be mindful of your surroundings if you plan on doing any burns.